When you talk to a new web company about revamping your current website or creating a new one, don’t forget to talk about the content management system. Content management can be anything from just being able to edit the text on a page, to being able to do almost anything. There are lots of variations and ‘off-the-shelf’ options and many bespoke versions written by independent developers. Before you decide think about what you might want to do with your website. Have a membership site that has log in and that you can upload content to. You will need to ensure that whatever CMS you choose will jump through hoops you want it to without you throwing something at the screen! 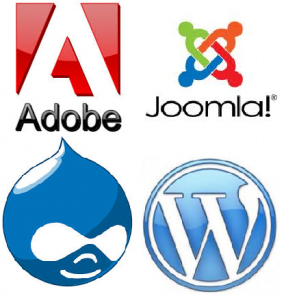 Options include WordPress, Joomla or Drupal, but there are many others. Make sure you have the conversation before any work takes place building your website.